Description: Training designed specifically to your worksite needs. 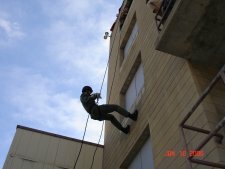 Safety is paramount while conducting all phases of training. Techniques are safe, simple, and easily retainable. Training conforms to OSHA criteria. Copyright © 2014 The Vertical Option LLC. All Rights Reserved.